Unfiltered, unpasteurized - the real deal! 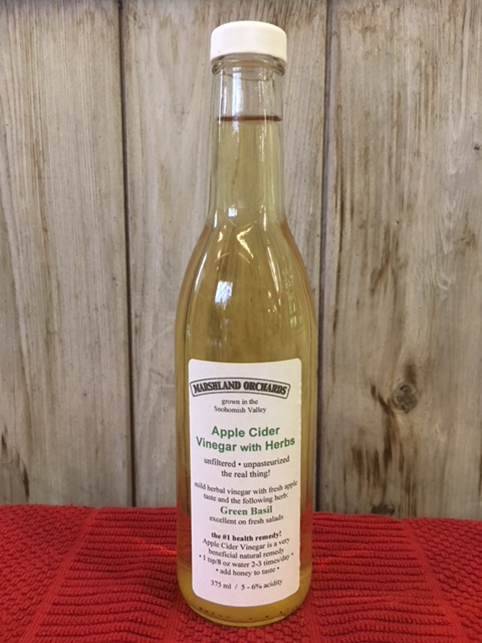 Mild herbal vinegar with fresh apple taste and green basil. Sold in 375 ml glass bottle.